Your Treatwell membership does a great job of keeping your pet healthy through preventive medicine. Unfortunately, accidents and illness can still happen. For this reason, and because the cost of veterinary care is continually rising, we recommend all pet parents carry pet insurance as a complement to their Treatwell plan. 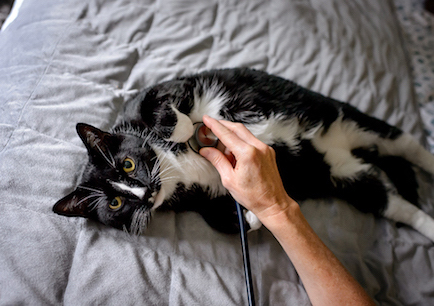 Pet insurance can be a life-saver and it can also help ensure you’re able to make treatment decisions based on what is right for your pet, not based on cost. There are many pet insurance products available in Canada and we will support you regardless of which one you choose. Currently however, Trupanion is the only pet-insurance company we are aware of that offers direct billing - this means they pay all eligible costs directly to us, and you only have to pay the part of the bill that applies to you (usually 10% + any deductible). For this reason, Trupanion is the only company where we are able to file claims on your behalf. There are lots of other good companies out there such as OVMA Pet Insurance, Pet Secure, and Pets + Us, but at this time members using those insurance companies are required to file their own claims (after we provide you with the appropriate receipts and signed forms, of course).